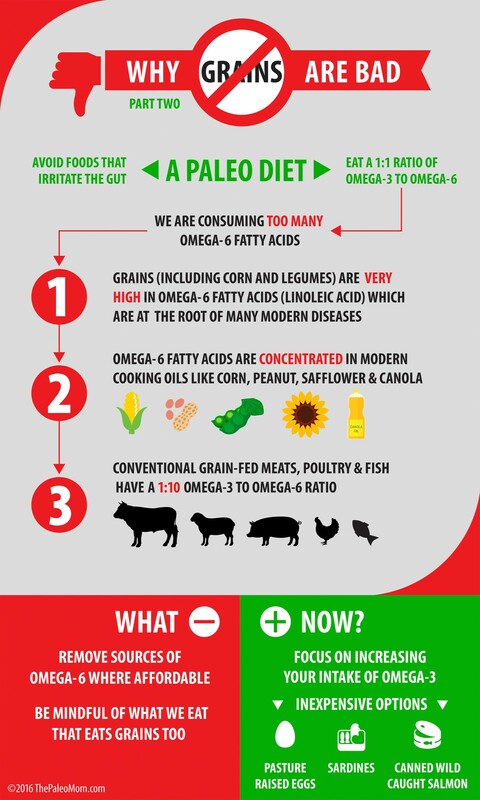 Two important facets of the Paleo diet are to avoid foods that irritate our gut and to eat a balanced ratio of omega-3 to omega-6 fatty acids (aiming for 1:1 to 1:2). We’ve already looked at how lectins in grains can affect our gut health in Why Grains Are Bad–Part 1,Lectins and the Gut, so now, let’s take a look at how they can skew this very important ratio of fatty acids! Not only do grains contain “toxic” lectins (like gluten) that damage the cells that line our gut, but they are also very high in omega-6 fatty acids. Grains (including corn) and legumes are high in linoleic acid, the omega-6 fatty acid that seems to be at the root of many modern diseases. 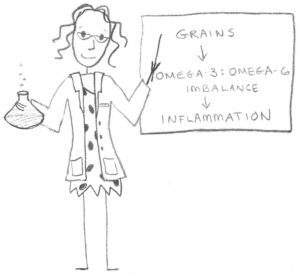 Omega-6 fatty acids contribute to pro-inflammatory pathways in our body, and the huge increase in the proportion of our dietary fat that now comes from omega-6s (instead of omega-3s) is a major player in a wide range of health problems (see What About Fat?). But it gets worse! These omega-6 fatty acids are concentrated in modern vegetable oils, which we’ve been encouraged to consume in place of natural animal fats (due to fears surrounding saturated fat and cholesterol). Oils derived from grains and legumes (soy, canola, safflower, sunflower, peanut, corn, etc.) didn’t exist until the process of mechanical extraction was invented. 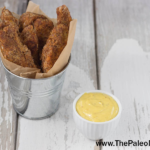 So, not only are we consuming omega-6 fatty acids directly from grain-containing foods, but also from the vegetable oils that they are cooked in. Another insidious way that omega-6-rich grains have negatively impacted human health is with farmed meat. Cows, pigs, sheep, chickens, and even some farmed fish are fed grains (instead of their more diverse, biologically appropriate diets). The meat from these animals no longer contains a balanced 1:1 ratio of omega-3 to omega-6 fatty acids (which they did prior to agriculture). Instead, it is typically closer to 1:10! It’s not enough just to avoid grains in our diet; we need to be mindful of what we eat that eats grains too. In a perfect world, we would all eat pasture-fed beef, free-range poultry, wild-caught fish, and wild game meat, while also avoiding all grains, legumes, and modern vegetable oils. When budget becomes an important consideration, I suggest removing sources of omega-6 where affordable, but also focusing more on increasing intake of omega-3 fatty acids. One inexpensive way to do this is by eating omega-3 eggs or pasture-raised eggs (which typically have a 1:1.5 omega-3 to omega-6 ratio). Another way to increase omega-3 intake diet is to eat more wild-caught fish (canned salmon and sardines are a great inexpensive option). (For more budget tips, see Budget Paleo: Priorities and Strategies, Managing Time and Budget, “If I Can’t Always Afford Grass-Fed Beef, What Should I Buy?”, and Paleo FAQ: “Can I still do Paleo if I can’t afford or source grass-fed beef and organic produce?”). 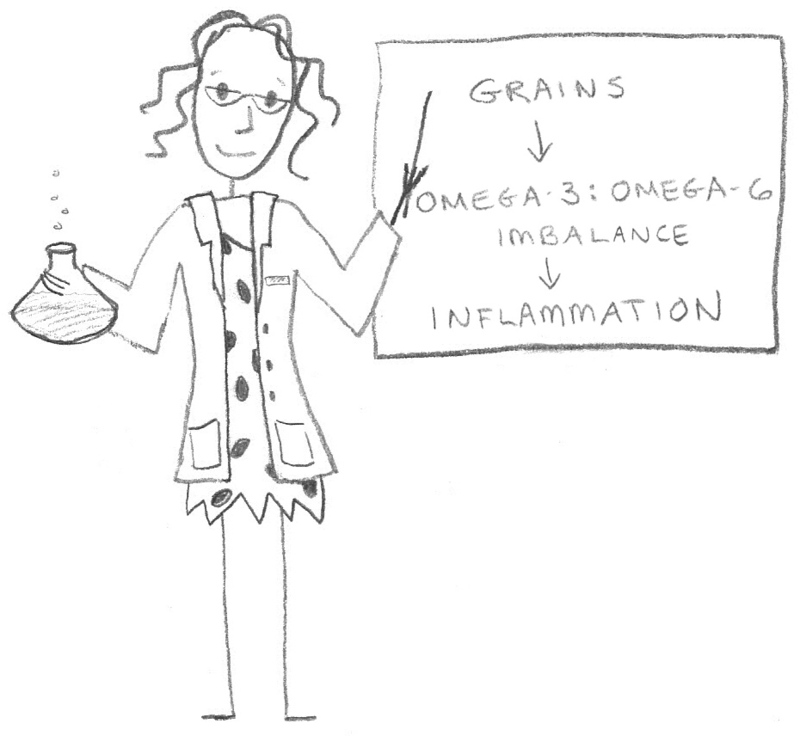 Regardless of how we increase our omega-3 consumption, omitting grains from our diet is critical. There are no mammals in the wild that have grains as part of their diet. 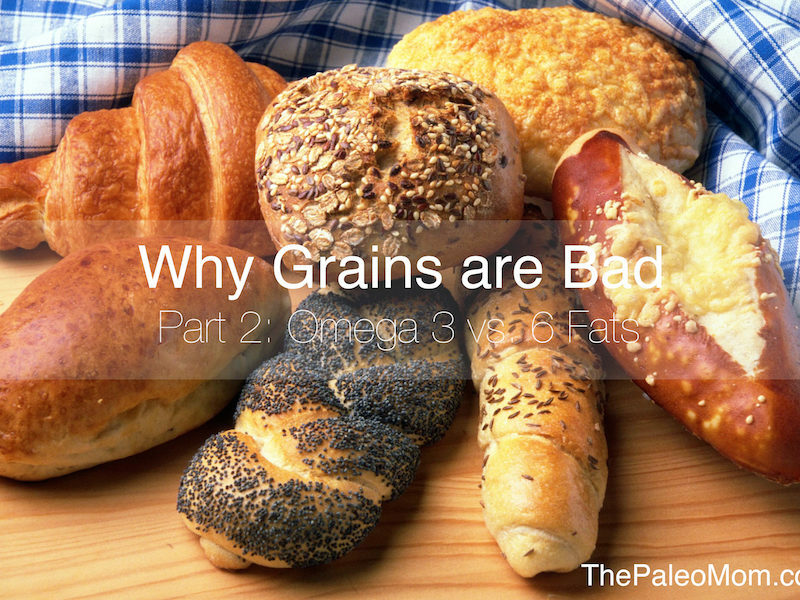 The only group of animals that do well eating grains is birds, which we are not! Hi. I love your site. What is your opinion on hemp oil? I have been taking this as my Omega supplement. This is some information I’ve copied from the website of my supplier. 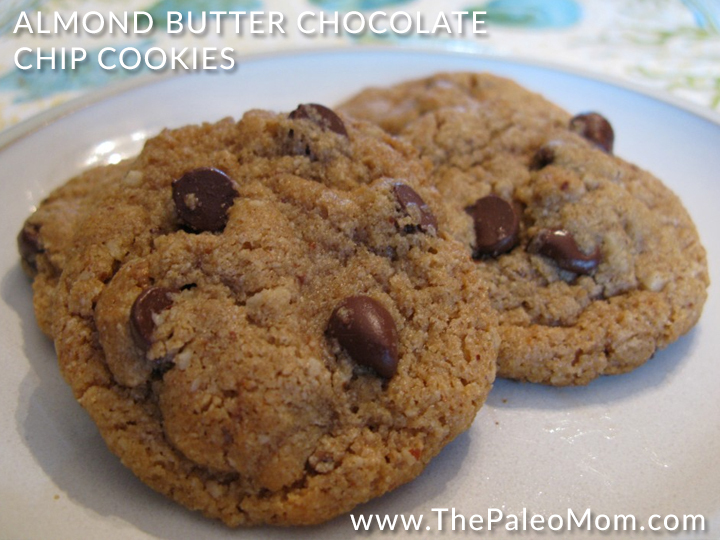 I am new to Paleo and have about 40 lbs to lose. Other than being overweight I believe I’m currently very healthy and do not need to take any medications. Hemp oil is a source of ALA omega-3 fats but these have to be converted into DHA or EPA fats by your body before they can be used and conversion is not very efficient. I would suggest fish or krill oil as an omega-e supplement instead. The best is to simply include fresh wild-caught oily fish in your diet. 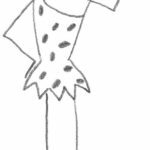 Also, there is no more complete source of amino acids than meat and fish, especially if you include organ meat in your diet. Also, Hemp is a known cross-reactive to gluten. Hence, elimiating it would be the wisest course of action. Do you have lists of true grains, legumes, nuts and seeds? I am so confused when you mention soy, canola and soy together. 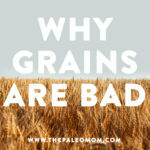 I understand when you say grains are bad for specific reasons, but it makes sense to me that humans would have eaten whole versions of grains, legumes, nuts and seeds, seasonally. And surely grazing animals eat grain seeds directly off the stalk in the fall, to prepare for winter? Deer eat grain out of the farmer’s fields near me all the time. 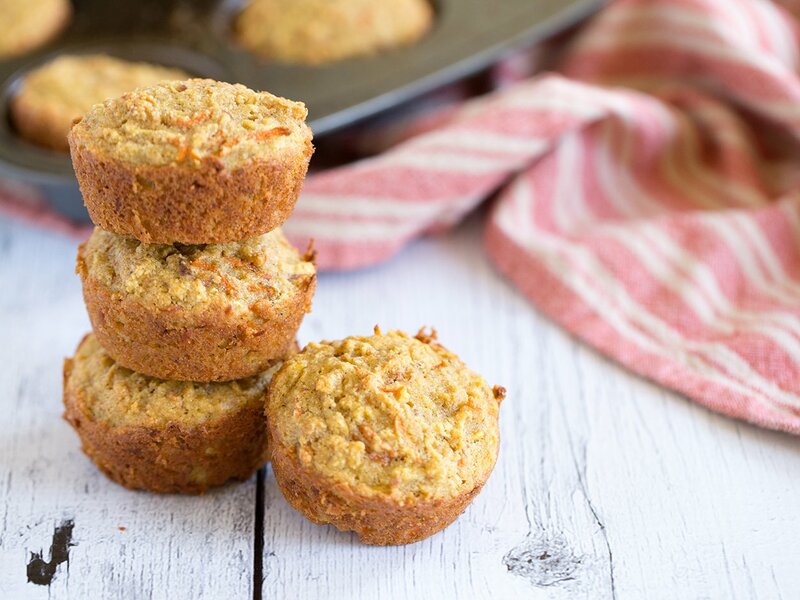 Does quinoa interfere with Omega 3 absorption? Hi there! So is the important thing here with Omega 3s to BALANCE the quantity with Omega 6s? And so then is it safe to assume that by not eating any grains, nuts or legumes, or using any vegetable oils (other than the good oils like olive oil and avocado oil UNcooked) and adding a fish oil supplement, and eating about half of my meats that are grass-fed or organic that I’d be getting a good ratio? Also a question regarding fish oil. I’ve seen liquid with a concentration as high as 2325mg of Omega 3s. Is it possible to get TOO much?? Any advice for my 19 yr old daughter who has systemic lupus past 18 months, chronic headache past 10 months? She is fatigued by her illness, about 20 lbs overweight now (was previously always slim) . I need to find some dietary advice that may help her. Of course, it is difficult to ask a college kid to try and adhere to any kind of plan, but she needs to do something that will enable her to deal with her day to day discomfort. We are going soon to a third neurologist who specializes in headaches. The poor kid is suffering daily. Don’t know how she is making it through college, but she is. On three prescription meds, 2 of which are for headaches, but making no difference in her pain levels. Any thoughts? What about Omega-6 from Evening Primrose Oil? Or is that okay because it’s in the form of GLA?